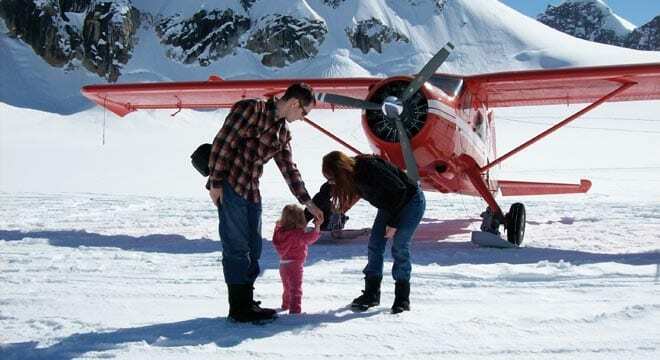 Here at K2 Aviation, we value family; we’re a family owned and operated business ourselves. 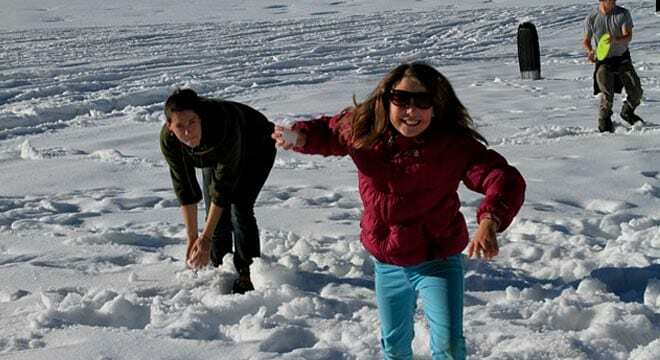 Our goal is to provide an experience that your whole family can enjoy. 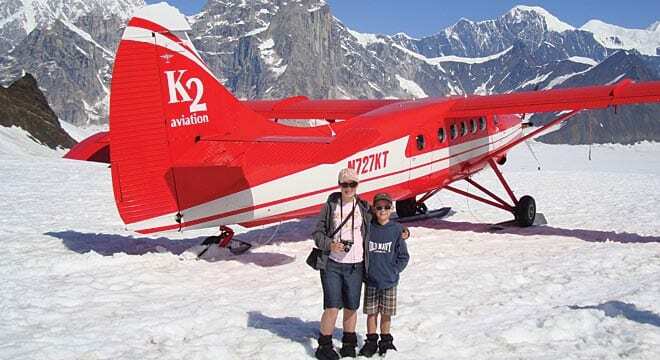 We understand the importance of your child’s safety; K2 Aviation is a National Park Service approved concessionaire with an excellent safety record. 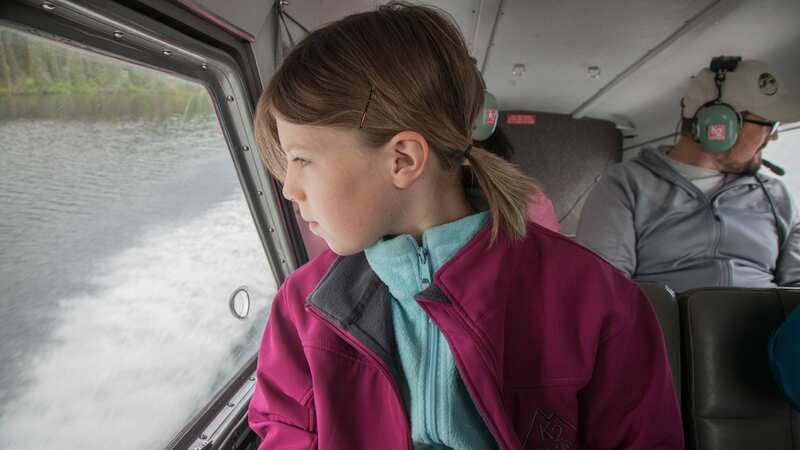 If you’re wondering which flight is right for you, we usually recommend shorter flights for parents with smaller children; they’re less stressful for families. We look forward to seeing you and your little ones! Fly for free, and are given a seat of their own. 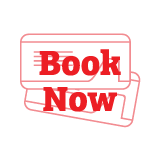 $50 off all regular flight tours. 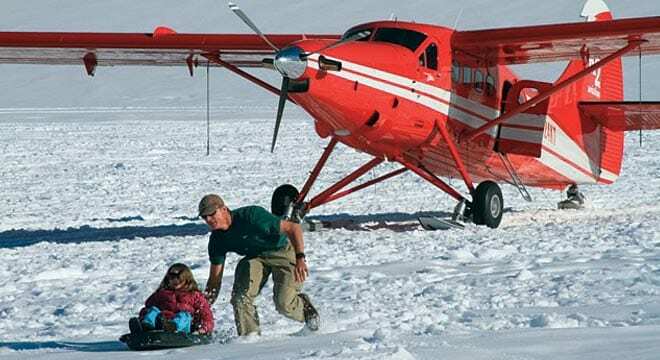 We recommend choosing a shorter flight, and adding a glacier landing so little ones can get out and move around. 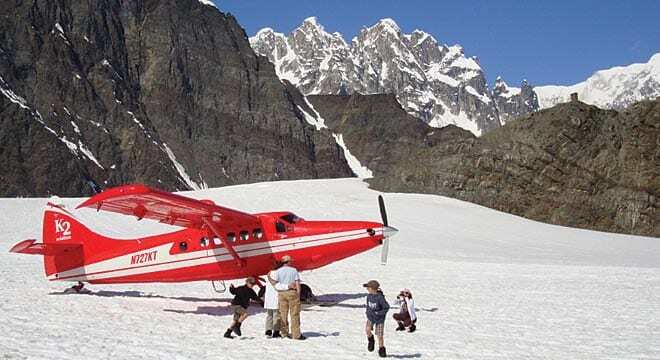 We do not advise flights that circle Denali; these flights require the plane to fly at higher altitudes, and increase the likelihood of kids having trouble with their ears. Many of our families take turns, swapping out between flying and watching the kids. 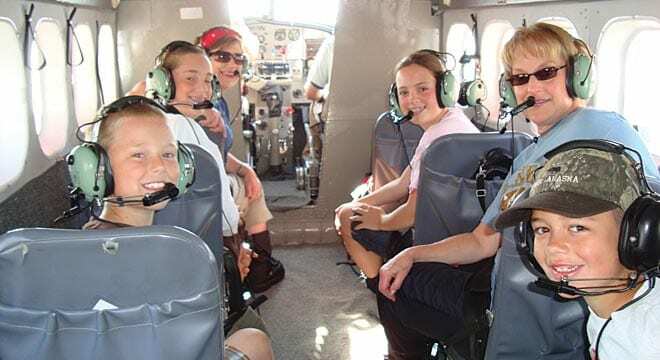 Please note: The Summit Flight is only available to kids 12+. 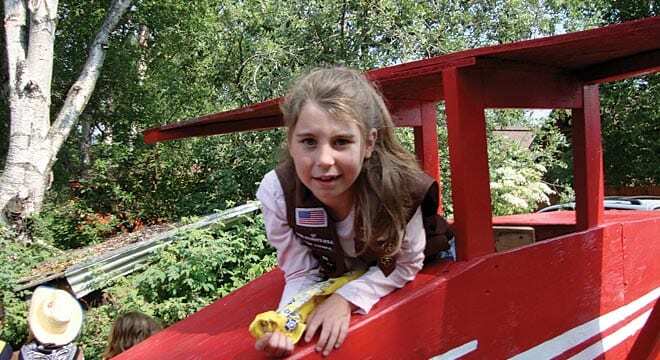 Don’t worry about keeping the kids occupied; K2 has its own playground, featuring a miniature cabin, playhouse, monkey bars, jungle gym, and full-sized swings. We also offer picnic tables for families to enjoy lunch. Traveling with little kids is always an adventure. We provide a seat for every passenger, including your little one. Car seats must be FAA approved (if you’re unsure, check the side of your seat). If you do not have an approved FAA car seat, just give us a call and reserve one of our car seats. 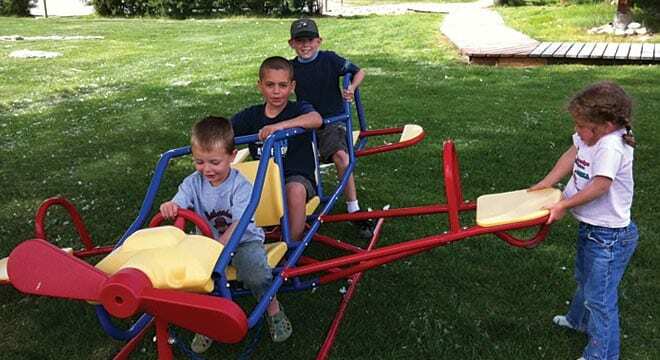 For safety reasons, we require that little ones stay in their seat for takeoff and landing. 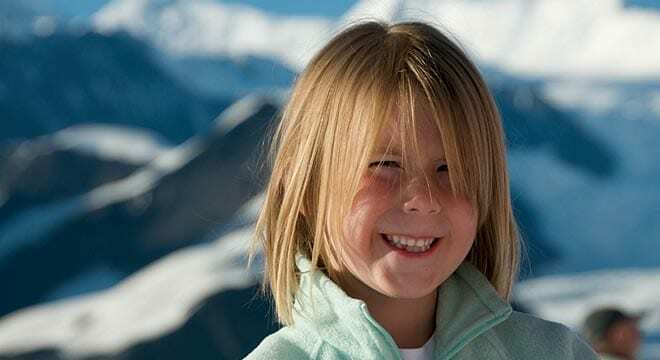 Your child can sit with you during the flight, but you must remain seated at all times.